Disabled consumer purchasing power exceeds $1 trillion per year. The signature site featuring accessible products and services presented in an editorial style. High visibility sporting events, teams and individual athletes in all sports. Trade Shows, expos, sporting events, parties, fundraisers and community events. Disabled consumers are the largest visible minority consumer group in North America, making up over 15% of the population, spending over 1 trillion dollars per year, with 17 billion of that on travel and leisure. 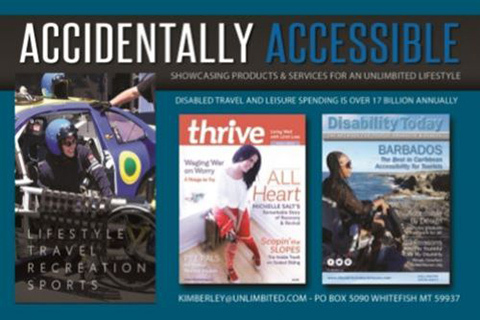 Unlimbited site and network visitors are people looking for information about daily living, employment, travel, sports, adventure, dining and lifestyle in a targeted, information rich resource specifically aimed at disabled consumers. The combined reach of my network is in excess of 25,000 visitors per month. 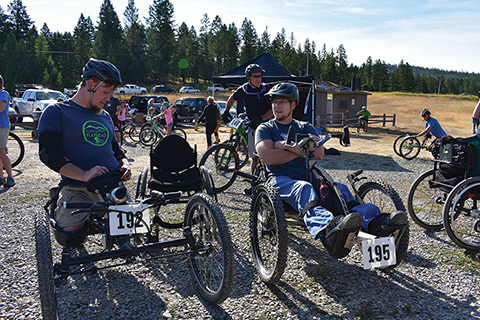 Opportunities include Accidentally Accessible features in Thrive and Disability Today Magazine, the Disability Today Network trade show circuit and adaptive athletes and sporting events. Be part of the longest running Disability Consumer show in the USA. 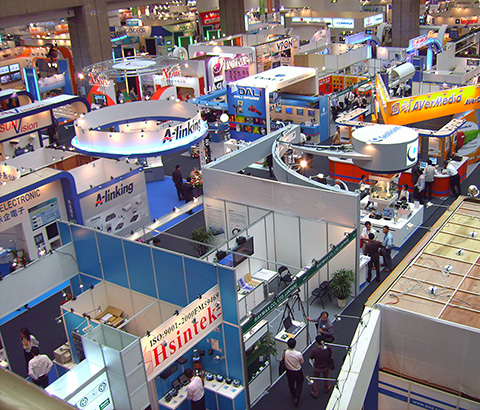 Abilities Expo is in its 30th year and is recognized as the leader in disability consumer trade shows. 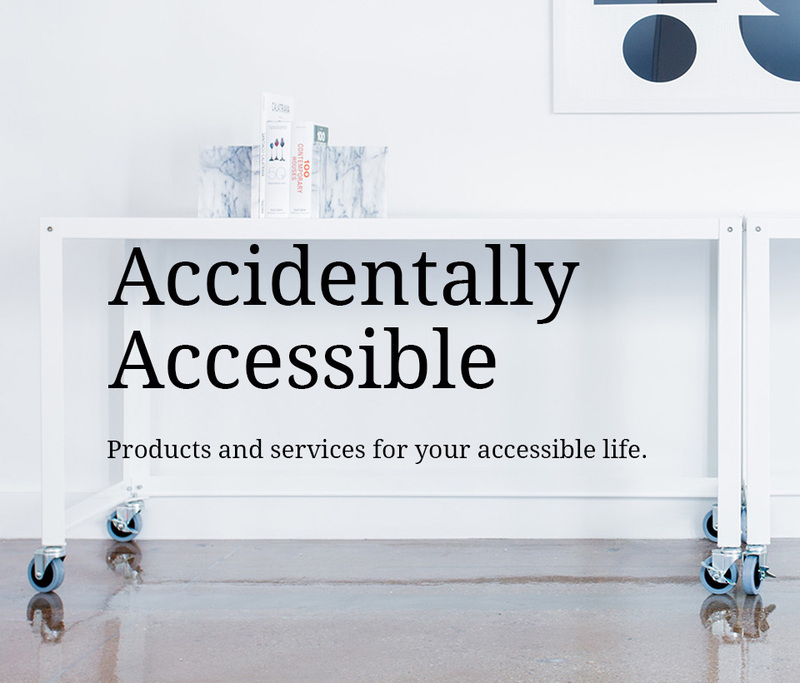 Accidentally Accessible / LiveAbility Magazine is a Media Partner and will be at the show with fabulous goodies and new products. We have a number of promotional opportunities for companies with a budget who are looking to reach this large and lucrative market.. Packages including publication ads and booth promotions are available for the duration of 2018 and the 2019 show season. Your product is the prize with our raffle progam. Lots of fun and excitement. We draw as often as we have a prize. Includes your company and link in the calendar. We'll pass out up to 500 samples and / or marketing pieces (flyer, brochures) at the show. Just ship them to the show and we'll take care of the rest. Show your logo and or product on the Disability Today Network booth. Full color, high visibility positions are available. Per show or per year. View the booth layout here.